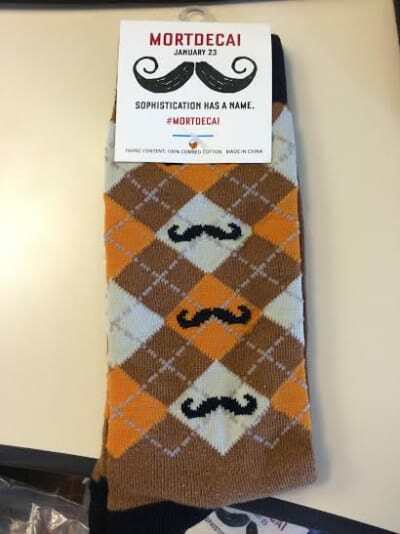 Mortdecai Exclusive Giveaway: Win Blu-Ray & Johnny Depp-Inspired Socks! Hot on the heels of our Mortdecai exclusive clip from the upcoming Blu-Ray and DVD release of the Johnny Depp caper comedy, we have not one... but FIVE copies of the Blu-Ray/DVD combo pack to give away to our readers! As you can see by the Mortdecai trailer, Depp stars as the title character, an international art dealer with impeccable taste, even if he is a bit... off. Mortdecai is approached by an MI6 agent (Ewan McGregor) to help the Queen and country track down a priceless painting that has been stolen before it winds up in the wrong hands and funnels unimaginable amounts of money into terrorists' accounts. Depp is joined in the all-star cast by Gwyneth Paltrow, Paul Bettany, Jeff Goldblum and Olivia Munn. Each winner will also score a pair of socks inspired by Depp's signature mustache! Hurry! Enter now, as this contest will expire before you know it! Depp can be next seen in Black Mass. 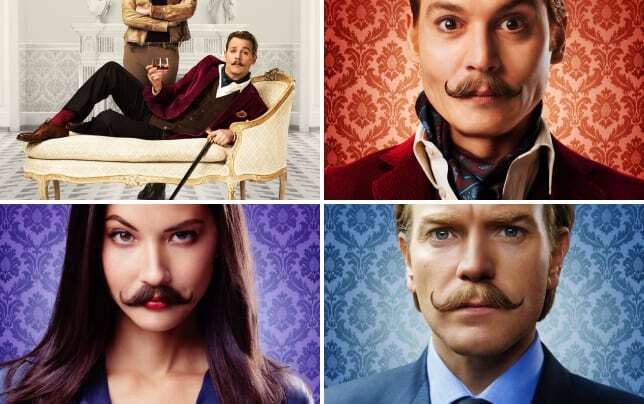 Stick with Movie Fanatic for our full Blu-Ray/DVD review of Mortdecai May 12.